Stale Gum: Top 10 FCB Show Pickups. 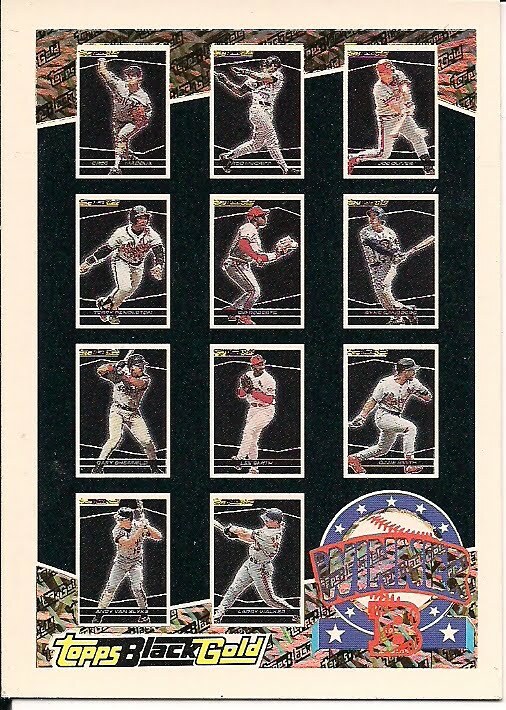 There wasn't much wax available (other than new or junk) at the FCB Atlanta National, but it was a treasure trove of cheap 1990s inserts. 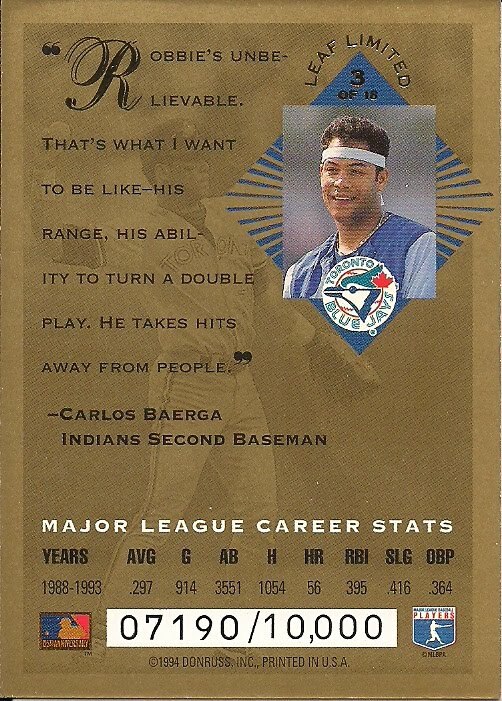 And if there's one thing I like more that 90s inserts, it's cheap 90s inserts. Here is just a sampling of the cards I got, all of which I bought for less than a dollar. 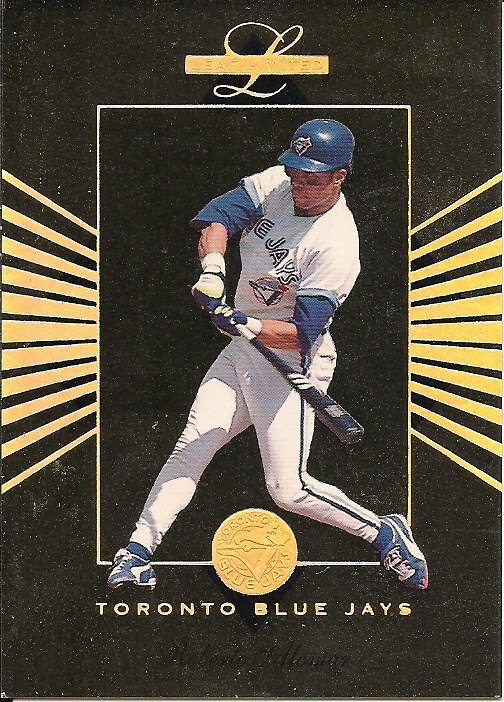 #10 1994 Score Rookie/Traded #RT158 Jose Lima. 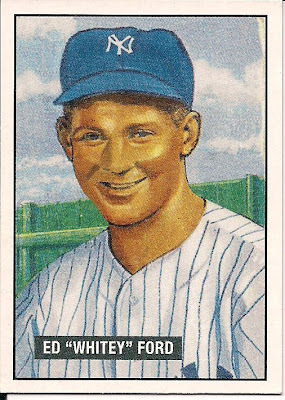 What's the deal with a 16-year old rookie card of a dead pitcher? Plenty. This is short-printed. Midway through '94SR/T's production run a press plate needed to be replaced. 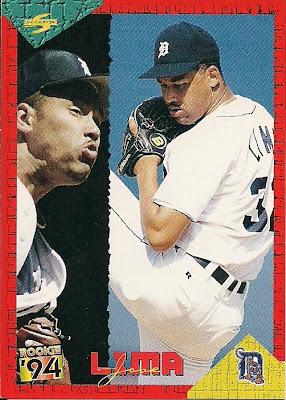 Unfortunately, Pinnacle's computer database accidentally deleted Jose Lima's card, thereby making Lima's card a short-print. Rather than leave a hole in the middle of the plate, Pinnacle filled it by double-printing John Mabry's card. Towards the end of the production run, the plate broke again. This time, rather than fill Jose Lima's space with John Mabry, Pinnacle filled it with a redemption good for a card of the first player drafted in 1994 to make his Major League debut. Unfortunately for Pinnacle Brands, then came the 1994 Baseball Player's Strike, and the cancellation of the remainder of the 1994 season. 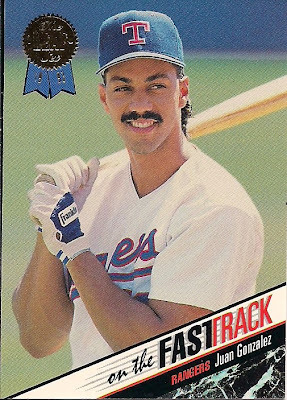 Pinnacle later announced that the "September Call-Up" card would be redeemed for a card of Alex Rodriguez, the first player selected in the 1993 Major League Draft. So now you know the story of how that A-Rod redemption came to be. And knowing is half the battle. 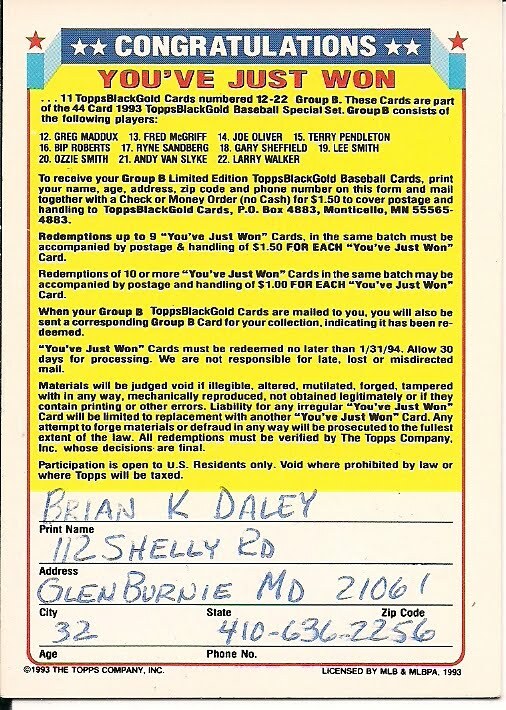 #9 1993 Topps Black Gold Redemption "B"
Don't ask, but I have a thing for expired redemption cards. So when I found this one, I had to get it. But it wasn't until I got back to Virginia that I flipped over the back. 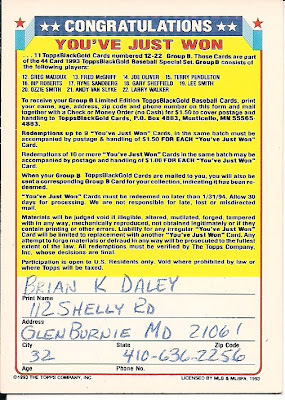 I thought Topps destroyed old redemptions? Did Brian not bother to turn it in? Maybe I ought to pay Mr. Daley a visit? It's not every day you see a $5 rookie card inside a ten-cent box. So yeah, I got two. 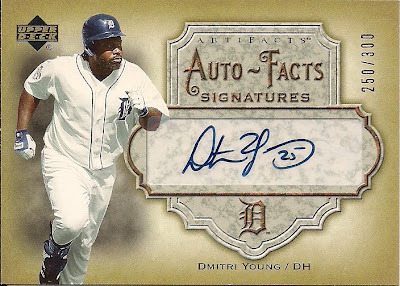 I think I'm going to start collecting Dmitri Young cards, because, like, he's The Man. And you know it. On The Fast Track is a tough, tough, early-90s insert. They were only available in retail jumbo (or "Magazine") packs and seeded at the rate of about two per box. Raise your hand if you've ever seen a 1993 Leaf retail jumbo box. 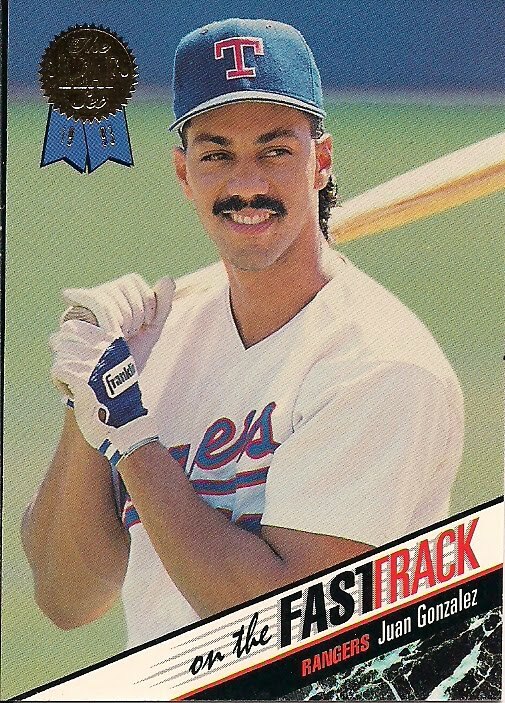 This Juan Gonzalez joins Steve Avery as the only two '93 Leaf On The Fast Tracks I have in my collection. 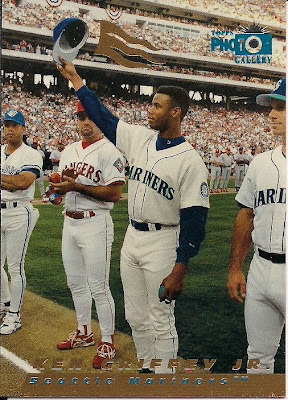 #5 1996 Topps Gallery Photo Gallery #PG10 Ken Griffey, Jr.
Gallery is a product that Topps needs to bring back, but never will because if they did, they'd probably turn it into 2008 Stadium Club. 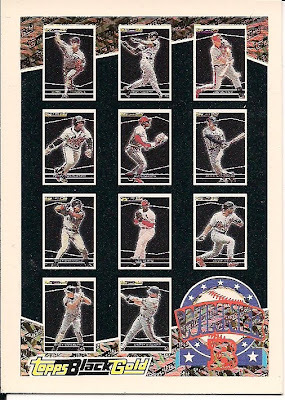 So whenever you see a one-per-box insert of Junior from an awesome 90s set in a 2-for-$1 box, you buy it. No questions asked. Whenever there's a two-per-box insert of a Hall Of Famer in that same 2-for-$1 box, you also buy it, no questions asked. Oh, and did I mention this one was serial-numbered? You'd think that with all the 2001 Bowman wax that was busted, that there would be more of the two-per-box Bowman Reprints in circulation. I guess I'm not looking in the right places, but this is the first one I've ever bought. 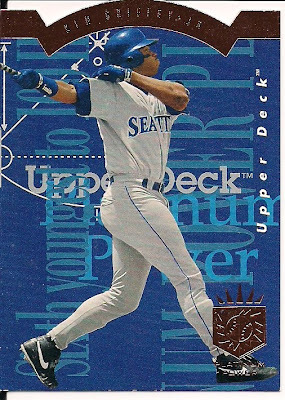 #2 1993 SP Platinum Power #PP9 Ken Griffey, Jr.
Back in 1993, pulling this card out of a pack was the equivalent of pulling an autographed triple-swatch Nuclear X-Fractor serial-numbered to ten. 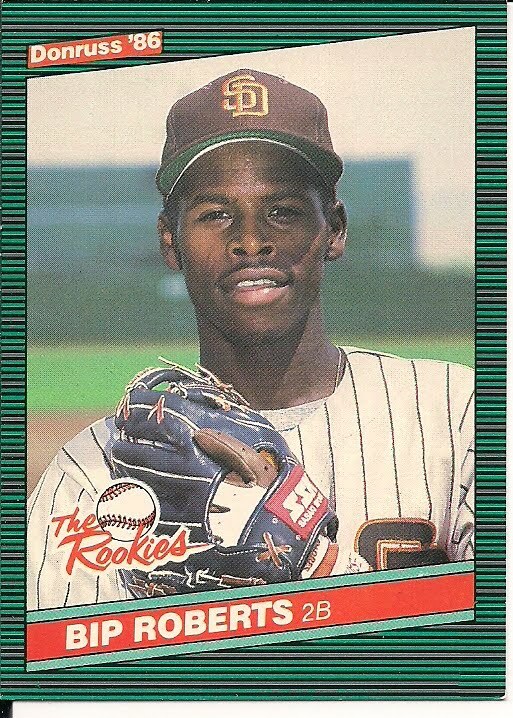 This card defined the term "Mojo." I remember ripping a box of SP back in '93 and not getting a single Platinum Power. 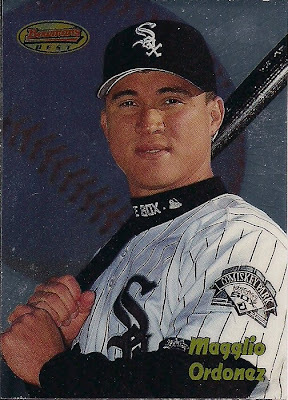 (I did pull three cards of some stiff named Derek Jeter, though.) This card was a $25 card at one point. Now it's dollar box fodder. Kind of makes you wonder just how much those autographed triple-swatch Nuclear X-Fractors will be worth 18 years from now. OH NOEZ!!!! IZ BIPPED MAHSELVES!!!! Great Post. i did not know that about the Lima Time Card. Learn something new everyday. i too have thought about starting a DYoung Collection, seeing that he also has Type 2 Diabetes (as does David Wells, fyi), but my slab ocd has stood in the way. You can't beat $1 for Da Meat Hook. Nice Tigers pickups on the whole! Gotta love Da-meat Hook. And that platinum power set is one of my all-time favorites, particularly Junior's card. I knew that Lima card was short printed, but I didn't know the story behind the SP. Thanks! Do you realize that there are only 10,000 of those Robbie Alomars in existence?! That is super rare, my friend. Those numbered cards are going to take off, mark my words. That Alomar card is nothing to spit at. 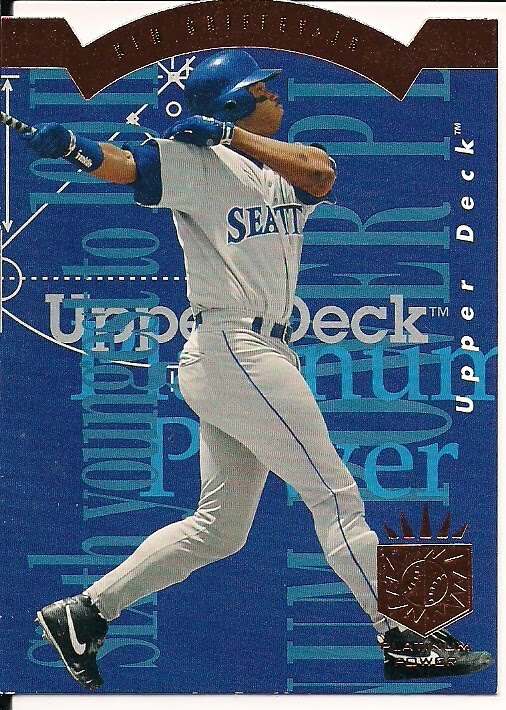 Sweet Griffey die-cut! Also, nice to see Beckett hasn't updated their pricing in 20 years. Kinda messed up to post that guy's address and phone number, though.